The Zoo is home to three tamarins, including a young female born at the Zoo in 2016 as part of our Species Survival Plan work through AZA. Tamarins usually live in small territorial groups of three to nine and defend their chosen area. The group consists usually of a mated pair and their young offspring. Cotton-tops are active from dawn until dusk (diurnal) usually grooming, sunbathing, or stretching out on a perch, with rest at midday. They are excellent jumpers and have a highly developed vocal repertoire with at least 38 distinct vocalizations. They make a variety of noises including whistles, screeches, squeaks, and warbles. They have specific vocals for alarm, food, levels of aggression, and submission. Some of their calls are too high-pitched for humans to hear. Cotton-top tamarins have a lifespan of 20-25 years in captivity. Plights facing this species include habitat loss, hunting by local populations, and importation into the United States for biomedical research. The species is now listed as critically endangered and exportation has been banned. 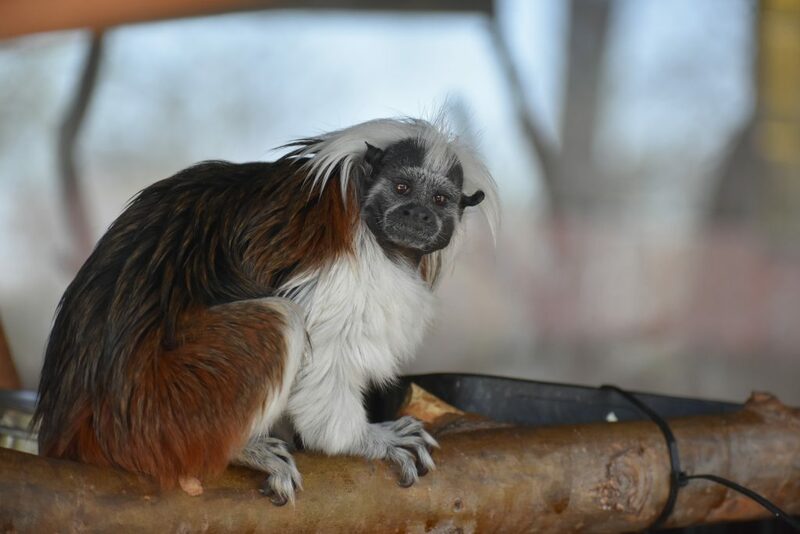 We work with field organization Proyecto Titi to continue the great work they’ve done in the tamarins’ native habitat of Colombia. 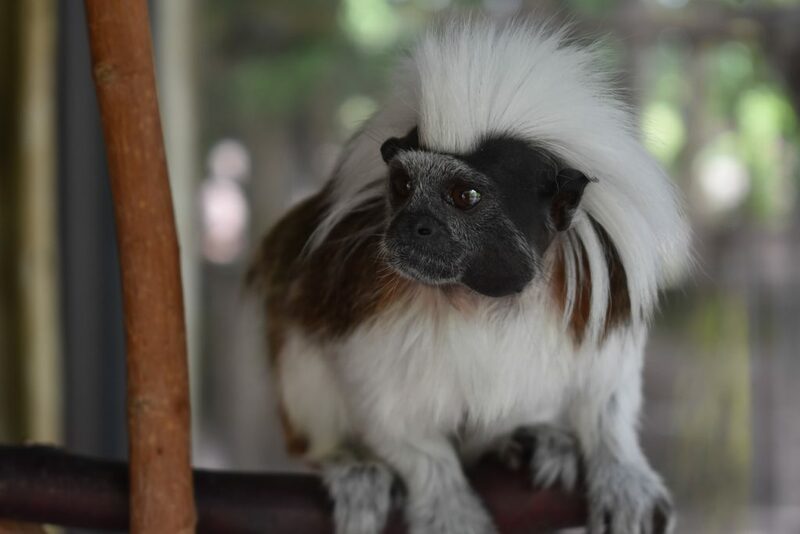 Project work includes: educating natives on how unique the tamarin is to increase pride in local biodiversity, training locals in how they can help protect tamarins, research on wild tamarin behavior and health, and addressing local pollution while also reducing poverty. When you donate to conservation at the zoo, those donations help continue the great successes Proyecto Titi has accomplished!